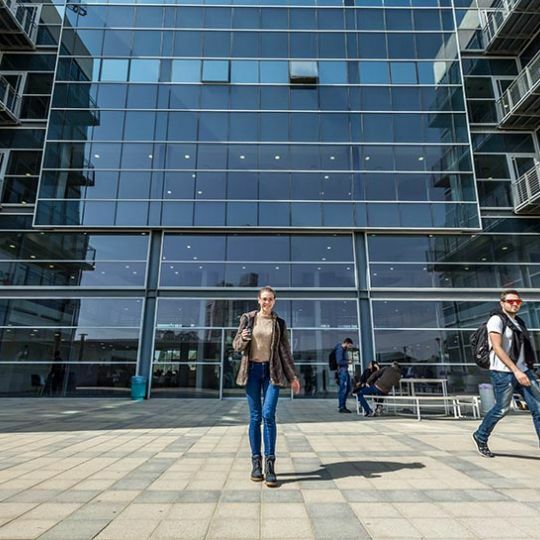 The department offers undergraduate studies in Chemical Engineering and graduate studies in Green Engineering at both Ashdod and Be’er Sheva campuses. Chemical, biological and physical production processes are implemented in numerous industries worldwide, including plastic, "heavy" chemistry, mild chemicals, pharmaceuticals, biomedical, water, energy, food, biotechnology and others. A chemical engineer must be familiar with these processes, and have a deep understanding of them, starting from the molecular level and all the way through to the production stage, while integrating various disciplines. “Green Engineering”, or “Sustainable Engineering”, is a new model that essentially combines principles, values and environmental awareness with science, technology and engineering – with the goal of enabling a positive impact on local and global environments. Green Engineering focuses on wide-ranging and preliminary planning of processes and systems, while minimizing their environmental effect. As such, Green Engineering factors in the entire product lifecycle, starting with the production of raw materials and energy, through technology and resources implemented in the production process, and to recycling and handling of the final product. The chemical engineering department at SCE maintains wide-ranging relationships with the processes industry in Israel. Graduates of the department have been successfully employed by various local companies and plants, including ICL, Adama, Teva, Chemagis, Intel, Rotem and Kamada, amongst others. The undergraduate program in Chemical Engineering trains graduates to meet the various challenges facing a chemical engineer, such as planning and developing new processes and products, optimizing existing products, managing production processes, conducting financial analyses, implementing safety and environmental protection principles, and participating in research, amongst others. Throughout their studies, students take several of SCE Project Oriented courses, including an advanced course on reactor and pediment planning, as well as the introductory course on nanotechnology in the chemical industry. The scientific basis for this program is studied during the first two years, and includes courses in chemistry, physics, mathematics and biology, and their applications in chemical engineering. Students select their specialization track at the end of their second year. Third and fourth year core engineering curriculums (momentum breaks of heat and matter, reactors, fundamental elements, and others) are studied by all students collectively. Process Manufacturing - This track trains future chemical engineers to integrate science and technology and to meet the diverse challenges they are faced with. These include: planning and development of new processes and products, optimization of existing processes and products, factory planning, production management, financial analysis, safety, environmental protection, monitoring, involvement in research, and more. Biotechnology - This track trains engineers with an orientation towards implementation and research in the fields of planning and operating biological processes. The diverse chemical industry offers a wide range of positions for chemical engineers that are geared towards biotechnology, including planning and monitoring production processes and producing biological and chemical products, food products, medications, vaccines, diagnostic tests, introducing new products or sales of technological products. Water Technology - In this track, students specialize in topics related to modern water treatment technologies, including industrial and residential wastewater treatment, water systems planning, desalination and more. 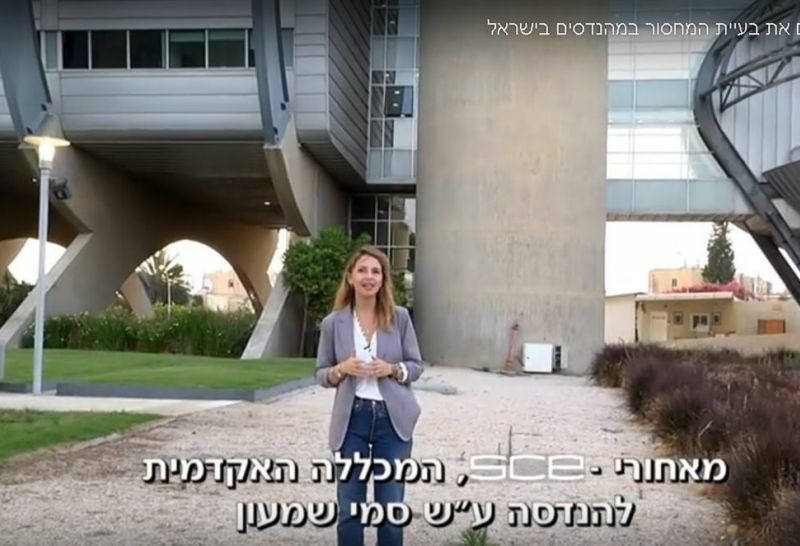 The Chemical Engineering Department trains its graduates to be integrated in the knowledge-intensive water industry, which is continuously growing in Israel and worldwide. During their third and fourth years, students are offered the chance to take special courses taught by industry experts, including: statistical processes, environmental engineering, malfunction detection, safety, factory planning, and others. Specialization track selection is conducted while considering each student's preferences and academic status, as well as his or her achievements in general and in certain courses in particular. The opening of a specialization track requires a minimal number of students signed up. Process Manufacturing - This track trains future chemical engineers to integrate science and technology and to meet the diverse challenges they are faced with.These include: planning and development of new processes and products, optimization of existing processes and products, factory planning, production management, financial analysis, safety, environmental protection, monitoring, involvement in research, and more. - Biotechnology (Be'er Sheva) This track trains engineers with an orientation towards implementation and research in the fields of planning and operating biologicalprocesses. The diverse chemical industry offers a wide range of positions for chemical engineers that are geared towards biotechnology, including planning and monitoring production processes and producing biological and chemical products, food products, medications, vaccines, diagnostic tests, introducing new products or sales of technological products. - Water Technology (Be'er Sheva) In this track, students specialize in topics related to modern water treatment technologies, including industrial and residentialwastewater treatment, water systems planning, desalination and more. 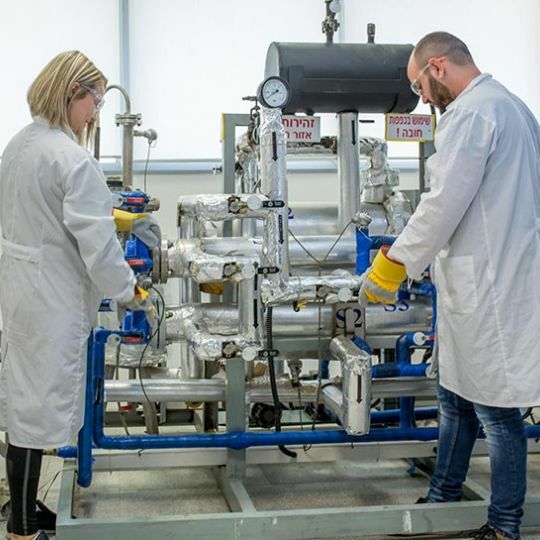 The Chemical Engineering Department trains its graduates to be integrated in the knowledge-intensive water industry, which is continuously growing in Israel and worldwide. - Energy (Ashdod) The energy sector is one of the most significant sectors in the economic, environmental and social development of all countries across the globe.During recent years, this segment has undergone a significant change, in terms of both finding alternative energy sources and developing processes and technologies for producing and storing energy. This track integrates various topics that are relevant to this field, including natural gas and its production, using waste to create energy, solar and photovoltaic energy, and additional aspects pertaining to the economic development of the energy sector. Applicants who do not meet the application requirements may be accepted to undergraduate studies in chemical engineering following the successful completion of the SCE pre-academic preparatory program, which includes the introductory course to chemistry for chemical engineering.